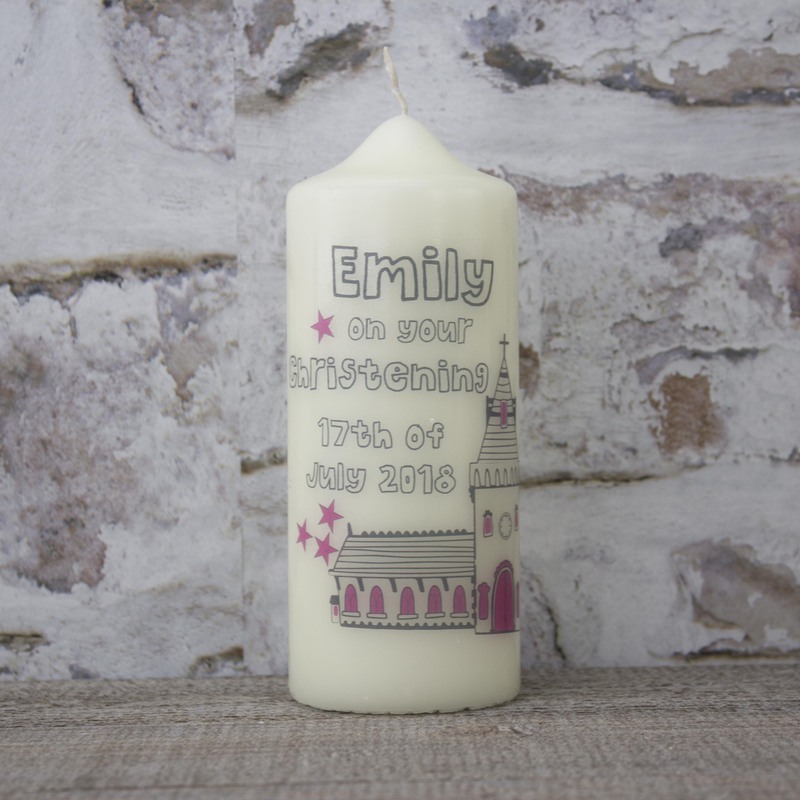 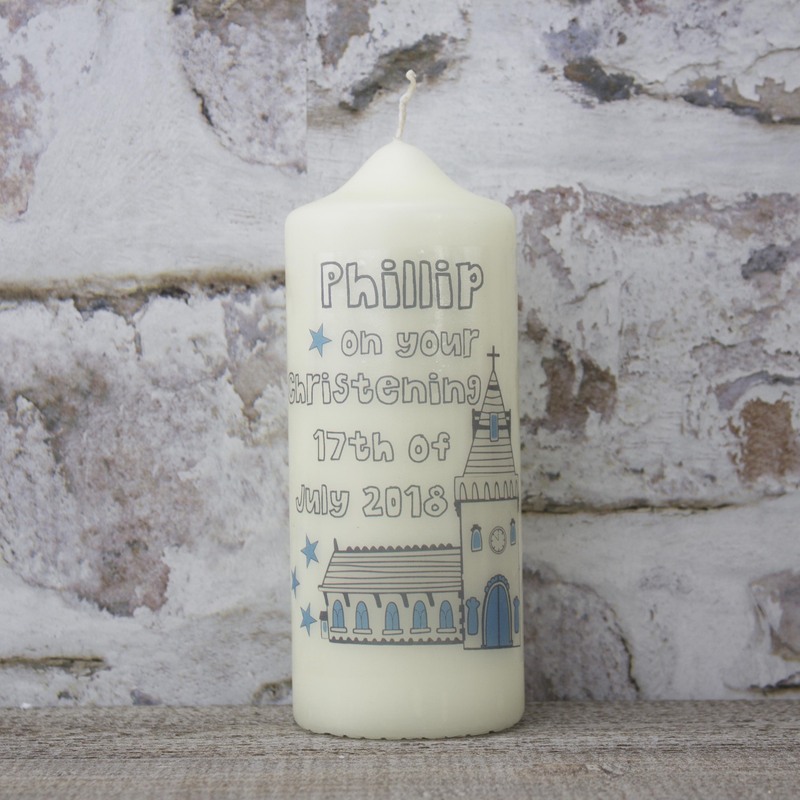 Gift baby a truly memorable keepsake on his Christening Day with our stunning Personalised Christening Candle - that includes the all important details from their special day and their name alongside our cartoon Church! 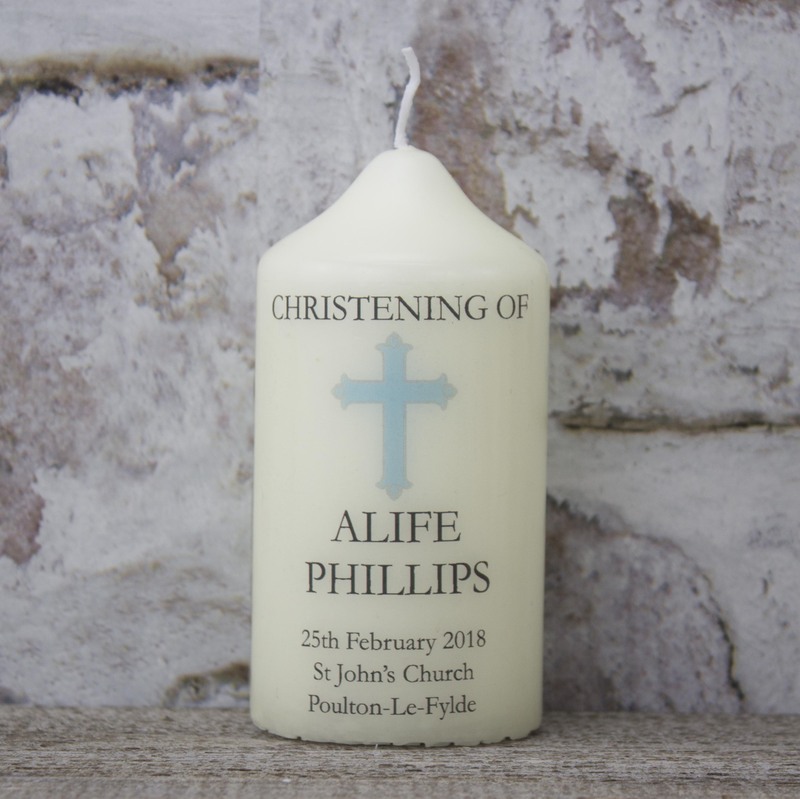 Gift baby a truly memorable keepsake on his Christening Day with our stunning Personalised Christening Candle - that includes the all important details from their special day and their name alongside large Christian Cross! 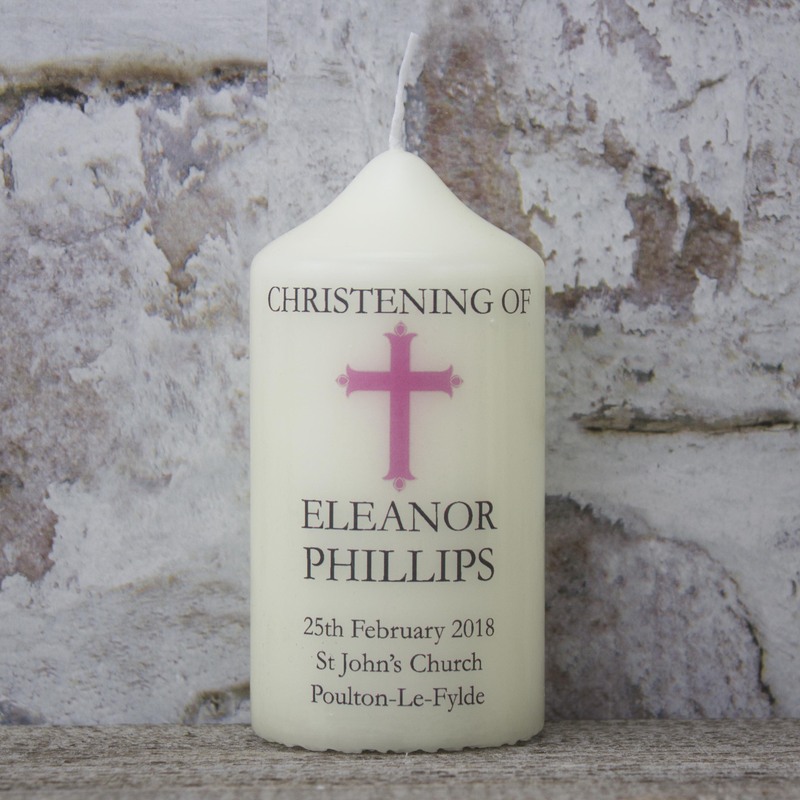 Gift baby a truly memorable keepsake on his Christening Day with our stunning Personalised Christening Candle - that includes the all important details from their special day and their name alongside our Christian cross!